Are you looking for that perfect small gift for your daughter? 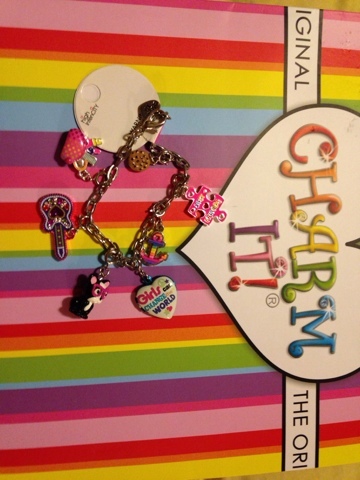 We are so excited to review Charm It! My oldest daughter received a charm bracelet for Christmas and fell in love. Since she is only 12, we did not want to pay a lot of money for an every day wear one, which is what makes Charm It so fantastic! I gave her the base bracelet. We have slowly added more charms for events. We picked one up for back to school shopping and even picked one up for my youngest daughter who has been begging for one. 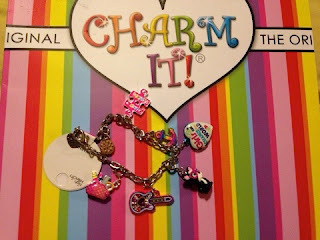 There are so many different charms that the bracelet can be used for small children and big ones! I love that they sell the charms right at the counter at Gap Kids. I usually pick a couple up when I am there buying clothes for the kids. We can also pick them up at our local Scheel's store. Looking for your own? Just check out the store locator to see where you can purchase them! MamaBreak received a bracelet to review on the site. We did not receive any other type of compensation. As always, our experiences and opinions are our own. These are so cute! They remind me of the charm necklace I had as a kid in the late 80's, early 90's..
Do these hold up well. I have read reviews that said the paint rubs off on the charms and the stones fall out, and they are poor quality. I think they are so cute, but I want them to last! This would not be a good bracelet for something to last long term, I don't think. They are fairly inexpensive charms (just a few dollars each). In saying that, our bracelet looks just fine (no paint fading, no gems lost), so I guess it would depend on the wear and tear the child puts on the bracelet. These bracelets are getting more popular by the day with the tweens. My daughter was really happy to get it for her birthday. Plus, she is thin and her wrists are narrow, but you can just attach the book to any of the links to make it smaller.